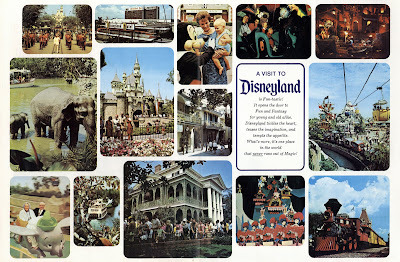 Did you ever wonder how many people write to Disneyland and what they write about? I actually wrote a letter to Disneyland last year inquiring about press credentials (Ok so the blog isn’t really the “press”, but I had to try) I of course have had no response from the Magic Kingdom. 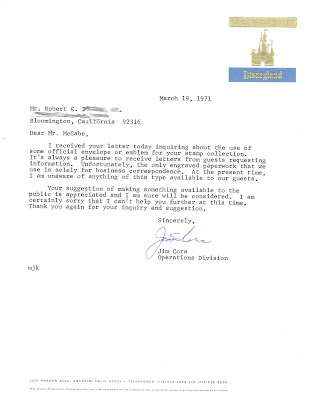 Back in March of 1971 Mr. Robert wrote to Disneyland and got a response. Postage Due – Bad show! It appears Mr. Robert wanted to use “some official envelope or emblem” for his stamp collection. 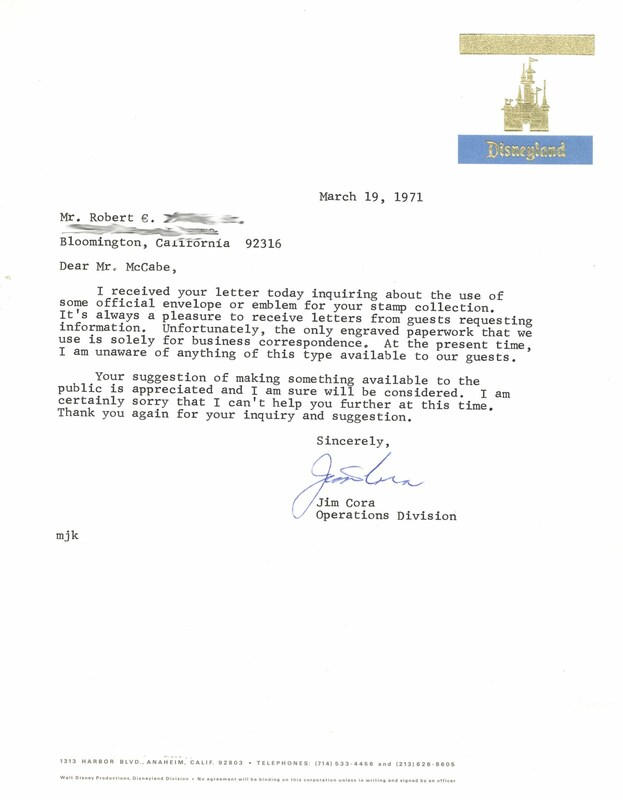 And it appears his was flatly turned down, although Disneyland does provide a nice logo sample on this letterhead! Here’s a great Vacationland from the Winter/Spring 1971. 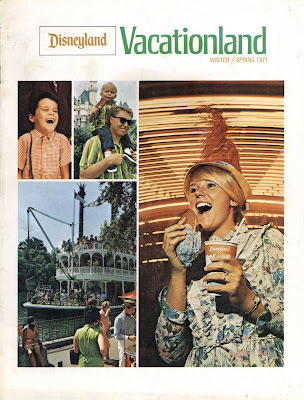 What a the wonderful cover photo (as seen on the 1971/2 guide book from this post – link). Upper left photo, guy with the kid on his shoulders looks familiar to me? If I didn’t know better I’d say he has a striking resemblance to a certain gorilla that doesn’t blog…? ZOOM!!! You’ll have to come back on Bonus Sunday to see the rest of this fun article. Wow now that's a centerfold! I must have missed this Disney Classic, is it any good? 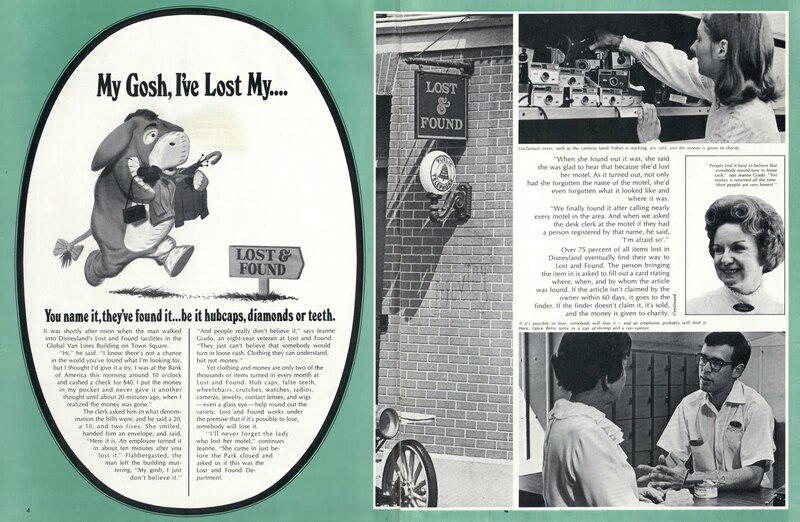 Another super article, again you’ll have to come back on Bonus Sunday to read the rest. Ha ha, I guess I'm the wrong person to ask, I never think anybody looks like me! 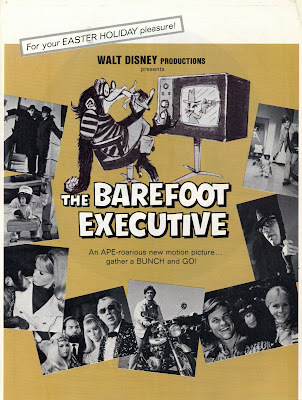 "The Barefoot Executive"... I liked it when I was a kid (it's one of those Kurt Russel pix), but those movies aren't so great to watch as an adult. I recently saw "The Computer Wore Tennis Shoes", and it's like an old TV show. 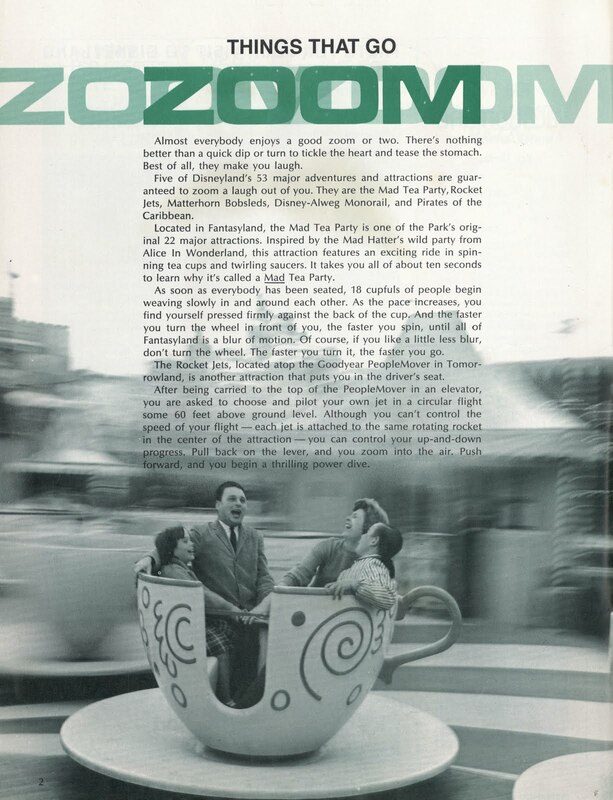 The most interesting thing is that the exteriors were shot all around the studio lot. The "Medfield College" cafeteria is the studio commissary's outside seating. Boy, you've got some super interesting stuff here! There's the blonde girl from the guidebook. Lots of miles on her picture. Still pretty too.